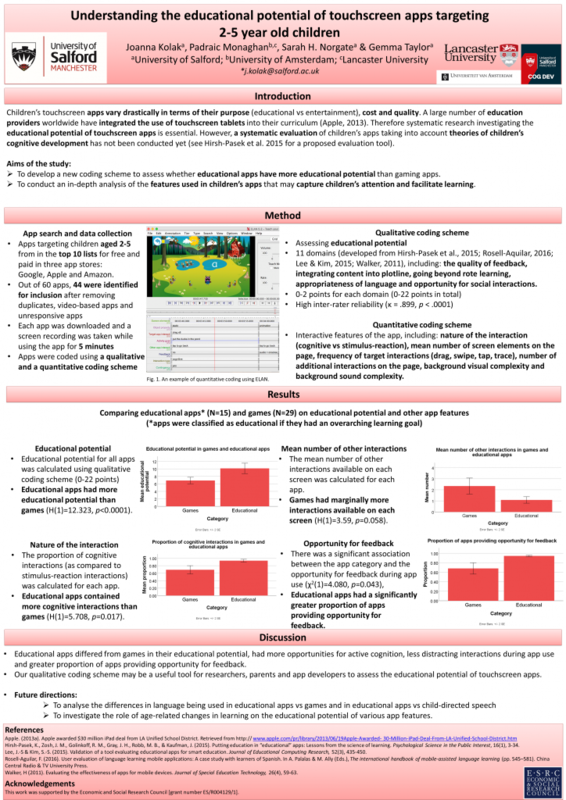 Our Research Assistant Joanna Kolak has attended the Digital Media and Developing Minds Congress in New York in October 2018 and presented a poster titled “Understanding the educational potential of touchscreen apps targeting 2-5 year old children”. The poster shows preliminary results of the first study of our ESRC funded project. Have a look at the poster to see which features used in children’s apps may capture children’s attention and facilitate learning.